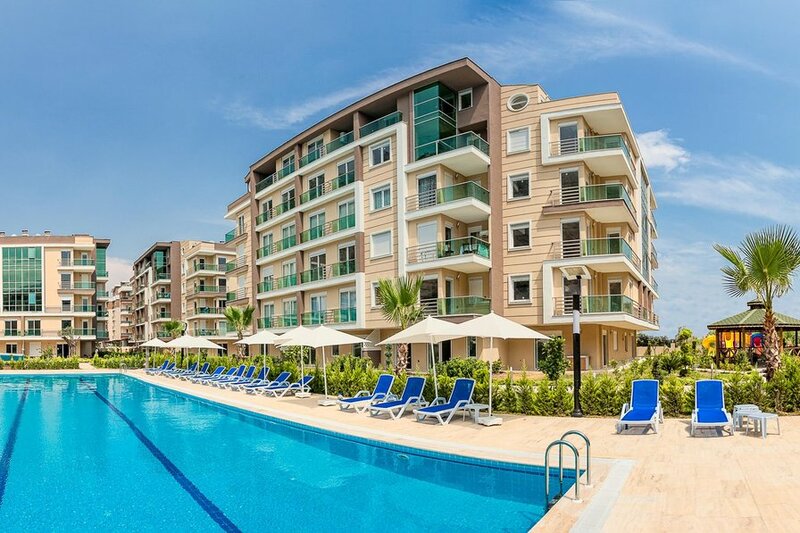 Located in Konyaalti, 1.8 km from popular Konyaalti Beach, Moonlight Residence offers an outdoor pool and a fitness centre,sauna,hamam,indoorpool. Located in Konyaalti, 1.8 km from popular Konyaalti Beach, Moonlight Residence offers an outdoor pool and a fitness centre. This self-catering accommodation features free WiFi. The air-conditioned room is equipped with a flat-screen satellite TV, washing machine and iron. Private bathroom is fitted with a shower and includes a hairdryer as well as free toiletries. Guests can relax at the sauna or the hammam. It is also possible to sunbathe at the sun terrace. The resort is 6 km away to Antalya Aquarium. 5M Migros is 7 km away. The resort also organizes a free shuttle service to the beach.ANTALYA AQUALAND 7 km, 8 km from Antalya Museum. The nearest airport is 20 km from Antalya Airport.